What does a Pinot's Palette Franchise Cost? Why Pinot’s Palette is right for you. 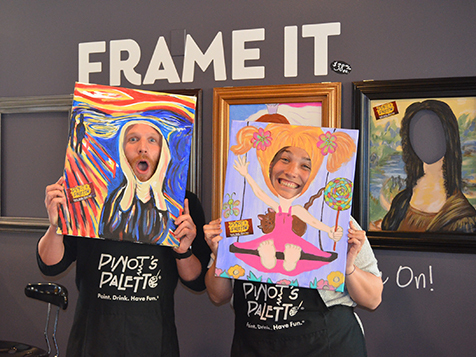 Pinot’s Palette is the perfect opportunity for the fun-loving, social entrepreneur who loves to entertain. 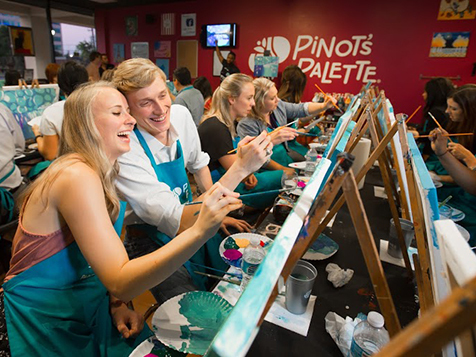 Pinot’s Palette is one of the best franchises for those looking for a rewarding experience and financial independence. No art experience required, your role is strategic management of the business. 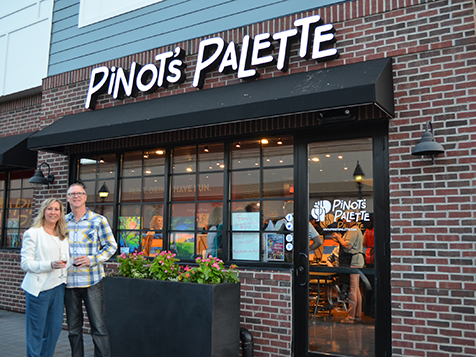 Open Pinot's Palette in any of these available states: CA, CO, GA, IL, IN, MA, MN, NY, NC, OR, PA, TN, WA, WI, DC. We offer more than 200 hours of training prior to your grand opening. Training includes both off-site (corporate headquarters) and on-site (your studio) instruction. Training covers business finance basics, marketing, branding, technology, operations and strategy. We will also assist you in site selection, lease negotiation and build-out plans, in addition to grand opening marketing and recruiting staff. Once your studio is up and running, we provide marketing materials and promotions each month of the year. Additionally, corporate headquarters hosts marketing conference calls, business strategy calls, system status calls and training webinars each month. Cloud-based operation manuals and real-time reporting makes it easy to get the information you need, on any device, wherever you have an internet connection. We want to assist you in meeting your personal financial goals, and our headquarters team are proven leaders in their areas of expertise: marketing, franchise operations, product sourcing, technology, finance and business. Also, when you join Team Pinot, you will be assigned a Partner Pal, a veteran franchisee, who will be your mentor. Why Own a Pinot’s Palette Franchise? 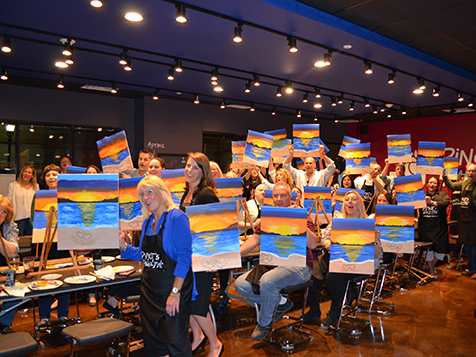 Art and wine appreciation has been around for centuries; by combining the two in an entertaining atmosphere we deliver a social event perfect for date night, girls’ night out and team building. 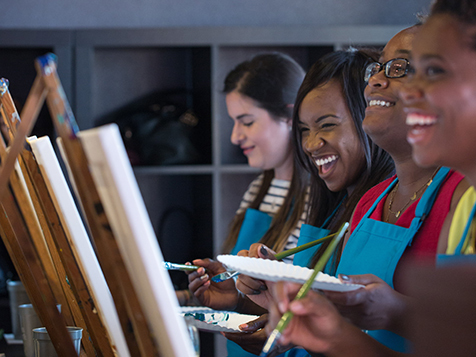 Guests join us for an unforgettable evening of fun, friends, and fine art. We have many different studio layouts and service models available to fit your growth plan and local community. Fill out an inquiry form today to learn more about Pinot’s Palette! Tap here to visit the Pinot's Palette website directly.